Corus 2007 tournament at Wijk aan Zee took place from January 13 to 28 2007. Topalov, Radjabov and Aronian won group A which had an average rating of 2719 (category 19). Group B was won by P Eljanov while Group C by Polish GM M Krasenkow with whom I played an excellent game almost 10 years earlier in my home country Bangladesh. Radjabov was leading in the beginning but in the middle the tournament edge shifted back to Topalov. Aronian played consistently and with a last round win he joined to share the title with 8.5/13 each. Kramnik was the only undefeated player in the tournament with balanced play scoring 8. I am upset that Anand lost to both Topalov and Kramnik and couldn't win any game against his last 3 comparatively weaker opponents and resulted in 7.5 that will loose him a few ELO points. I hope he will consolidate himself and will be back in great spirit at mexico world chess championship later this year. I see Shirov and Carlsen in the bottom of the chart at 4.5 each. GM Alexey Dreev of Russia wins 5th Parsvanth International Chess Tournament that took place in New Delhi, India between 14th January to 22nd January 2007. There were 13 GMS from India, Bangladesh, Russia, Egypt, Ukrain, Uzbekisthan among the 345 participants. The 18-year-old Hyderabad teenager Gogineni Rohit completed his third and final International Master-norm and maiden Grandmaster norm to secure a runners up position. Dreev, who has an ELO rating of 2658, defeated B Adhiban in the 10th and final round to finish a clear winner with 8.5 out of a possible 10 points to bag the purse of Rs two lakh in the Swiss-league tournament played at Indira Gandhi Indoor Stadium. 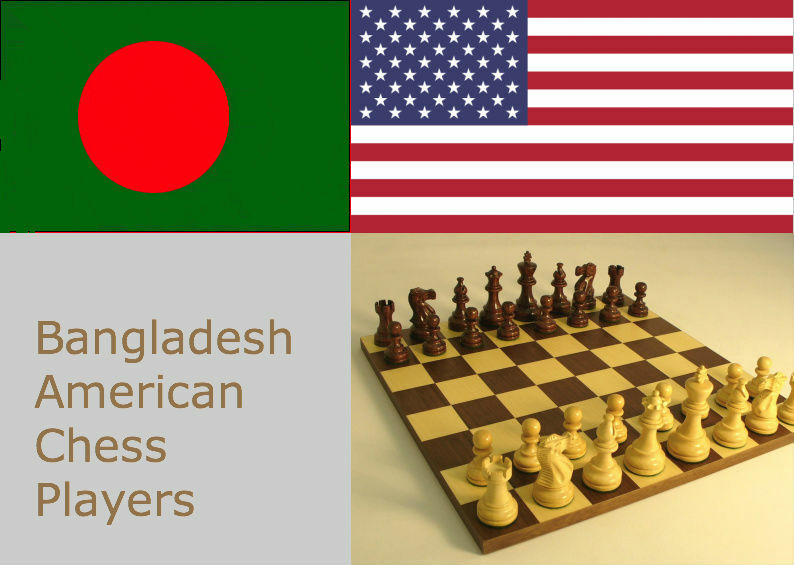 Half a point behind Dreev were seven players (jointly 2nd to 8th) -- Rohit, GM Ahmed Adly of Egypt, GM Ziaur Rahman of Bangladesh, four-time national champion of India Surya Shekhar Ganguly, IM Enamul Hossain and IM Abdulla Al-Rakib of Bangladesh, and IM Vikramaditya Kamble of India. All these players got a little over Rs. 50000 for their efforts. Ahmed Adly finished the second runner up and Rahman and Ganguly were fourth and fifth after the tiebreak was resolved under Bucholz system. First GM of Indian-subcontient, Niaz Murshed of Bangladesh, scored 7 out of 10 to be placed in the 25th position (jointly 18th to 42nd). GM Susan Polgar, 4-time Women's World Champion, gave a simultaneous chess in Atlanta, Georgia as part of Kay Umeakunne's Mighty Knights and Lady Bughouse chess camps in June 2005. She was at Stonecrest Mall Borders in Lithonia, Georgia one day earlier giving a lecture, conducting a Q&A, and signing copies of her new book A World Champion's Guide To Chess. The Simultaneous Exhibition was held at the Mountain Park Activity Building, Stone Mountain where we 21 chess players participated in 21 different boards. I was 1 hour late to arrive the stone mountain as I lost the road in the hill. After taking help from an old man, I could manage a taxi cab and when I reached the Mountain Park Activity Building, I narrowly managed to join the simul providing my entry fee. Among the 21 boards, Kazim's game finished last and all lost except me. I accepted a draw offer from her after 33 moves in a winning position, showing honor to a grand master. Though its not a serious game, but for an average player like me, its a good achievement. I finished my first Amazon Short today: An Evolutionary Theory of Chess by Garry Kasparov. I was amazed to see the idea of short electronic-article-like book while surfing Kasparov's My Great Predecessors series in amazon.com in early December 2006. I bought and read all the 5 volumes of Kasparov's My Great Predecssors and was looking for the new arrivals in this series. I came accross this $0.49 book (or should I call it e-article) and purcahsed it in advance as it was not published that time. Last weekend, I thaught to look for whether its already published and found yes - it was. I downloaded a PDF copy to my laptop at that time but today during lunch break I printed it and read. Kasparov talked about the past chess figures and evolution of chess through them as a beginner's game to a master's game in last 150 years and emerging into the computer age of chess as the last evolution in playing chess or chess styles. I liked this short book. Last week I broke 1800 (and thus entered the category A club) after starting to play chess on chesslive for a few weeks. Right now I see my rating is 1815, and last night it went upto 1827. My USCF standard rating 1767 and rapid rating 1801 justifies my correct chesslive rating well. I also participapted in a rapid tournament there and gained 7 tournament game points. For some reason, last 2/3 days I missed one-move queen-loss or piece-loss in rapid games several times. If I can check those correctly from now on, I believe I can break the 1900 mark soon. I have added in this site a Google search engine customized for chess today. Google Co-op provides facilities to create customized search engine and thus I created one, added around 20 web sites in the engine and plugged in this blog's left navigation panel. Feel free to use it and let me know if you want to include some nice chess web sites, blogs or forums in this engine. Life's too short for chess. The chess pieces are the block alphabet which shapes thoughts; and these thoughts, although making a visual design on the chess-board, express their beauty abstractly, like a poem. … I have come to the personal conclusion that while all artists are not chess players, all chess players are artists. That was said by Marcel Duchamp (1887–1968), French artist. The Arab traveler Al-Biruni rediscovered chess in Indus valley now in present day Pakistan. He is considered responsible for reintroducing ito the Islamic world, and thence to medieval Europe in tenth century. Archealogists have found artifacts resembling to chess pieces in the ruins of Moenjodaro in Indus valley. It Is believed that the ancient name of the game of chess was Chatrunga and It was played in Indus valley since 1000 BC or more. The centuries old story of "Sessa" the inventor of the game of chess goes some thing like this. Sessa traveled to Persia and presented his invented game to the King. He went to Persia because nobody appreciated his work in India. And Persia was famous those days for art, culture and education. The game was liked by the king so much that he asked Sessa to ask for recompense whatever he wished. Sessa modestly requested to be given one grain of wheat for the first square of the chess board, two for the second, four for the third and so on doubling each time up to 64th square. Eventually the wise men of the king added the numbers 1, 2, 4, 8, 16, 32, 64 etc and found the sum of series to 64 terms or levels and concludeded that was not enough wheat in the kingdom to meet the demand of Sessa. Can you work out that sum? "Life's too short for chess" is a quote attributed to Henry J. Byron. I won a recent game in ChessLive at 80 moves after a careful queen endgame. I relaized that my many years earlier end game study was helpful to win this. To see the game click on the link or at the final position image. Topalov topped recently published FIDE rating list (Jan 2007) followed by Anand and Kramnik despite his lose to Kramnik in the unified world chess championship match. I am looking forward to personally visit World Chess Championship 2007 that will be hosted in Mexico city.